Are you looking for ways to save money on booking a car rental for your next trip? Priceline’s “Name Your Own Price” car rental bidding system can help you save money renting a vehicle. 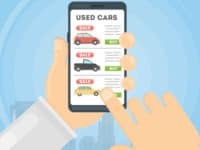 In this article, we’ll walk you through the process of how to bid on Priceline car rentals, and give you some tips for rental car bidding. 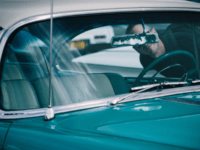 How does Priceline bidding work for car rentals? Priceline's "Name Your Own Price" system for rental cars allows you to select a pick-up/drop-off city or airport, pick-up and drop-off dates and times, and class of car. Then, you get to submit a price that you're willing to pay for your car. If your price is accepted, Priceline will book your rental for you. Note that as a trade-off for getting to pick your own price (which will usually be lower than published rental rates), you can't pick the company that rents you the car. 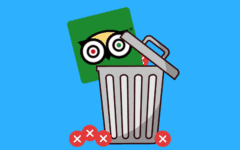 Some travel booking websites have similar restrictions, such as the "Unpublished Rates" program for hotels on Expedia.com. 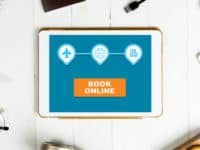 Hotwire.com has a booking system what works in the same way. Go to www.priceline.com, and then click Cars. Click Start Your Rental Cars Bid Now. Enter your pick-up/drop-off point, pick-up and drop-off dates and times, preferred car class, and desired price. 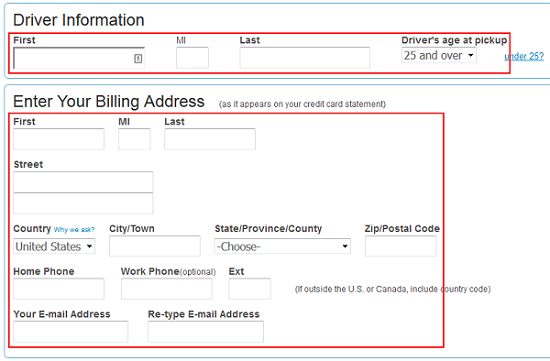 Enter your driver information, billing address, and credit card details. If those instructions were a little too quick for you, don’t worry – read our more detailed step-by-step instructions with pictures below. 1. Go to the “Cars” section on Priceline. Open your web browser and go to www.priceline.com. In the menu across the top of the screen, click Cars. 2. Start bidding on a car rental. Scroll down to the "Name Your Own Price" section and click Start Your Rental Cars Bid Now. 3. Indicate your pickup and drop-off information. In the same way as if you were booking a car rental normally through Priceline, you must enter your pick-up/drop-off point (can be a city or airport), pick-up and drop-off dates and times, and class of car. Then click in the box labelled "Name Your Own Price" and type in the price that you wish to pay for your car rental. Then click Bid Now. 4. Enter your driver information and billing details. 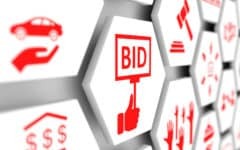 To complete your bid, the first step is to enter your driver information (as it appears on your driver's license) and billing address (as it appears on your credit card statement). 5. Enter your credit card information to pay for your rental car booking. Next, it's time to enter your credit card details. 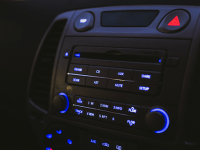 You must also click one of the buttons below this information to choose whether you will be paying for the security deposit on your rental car with a credit card or a debit card. 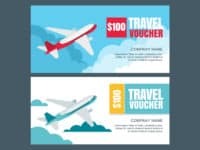 (If you choose "Debit Card," you will have to choose whether you have proof of round-trip airline travel or are renting locally). 6. 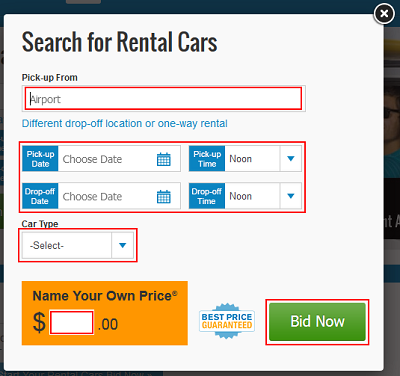 Confirm and submit your Priceline car rental bid. At the bottom of the "Important Information" section, click in the box labelled "Initial Here" and type in your initials. Then click Buy My Rental Car Now to submit your bid. You might get a response right away; if not, check your email inbox. If your price is accepted, your rental car will be booked, and you can print out your confirmation information (which is a good idea, as you may need it when you check in to the hotel). If your price is not accepted, you will be notified by Priceline that your bid was not accepted. 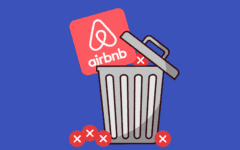 You can re-bid at the same price (or a different price), but you must change one parameter of your booking (such as pick-up/drop-off area, pick-up/drop-off dates or times, preferred car class, etc.). 1. Do your own research on the average cost of rental cars within the area you’re looking to rent. Though Priceline may give you a guideline on the average price of a rental car in the pick-up/drop-off area that you select, you may want to shop around yourself. 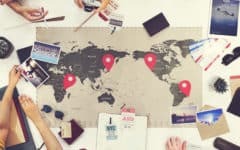 Try searching for rental cars on Priceline (or other travel booking websites, such as Travelocity) using your booking criteria as if you were going to book them normally. This will allow you to see the actual rates that hotels for the area(s) in which you wish to stay are charging, so you can make a better estimate of a bid that might get through. 2. Try to make sure your bid for the cost of the rental car is not unreasonably low. Compared to bidding on hotels with Priceline, you really want to go for a reasonable price when bidding on car rentals, as opposed to going for the lowest possible price. This is because you will never be given the chance to immediately retry your bid with the same parameters, but a higher price. If your price is too low, you will have to change one of your booking parameters if you want to immediately re-bid. Otherwise, you must wait 24 hours, and then start the process over again. 3. Make sure that the dates and area you’re looking to book within are correct. When you book through Priceline’s “Name Your Own Price” rental car bidding system, you won’t be able to easily make changes to your booking, or cancel it if your plans happen to change. Before you submit your bid, make sure you have all the correct information entered. 4. Try to be patient when waiting to have a bid accepted. It may take you a little while to have a bid for a rental car booking accepted if you’re trying to spend as little as possible. If you can stick it out, it’ll be worth it in the end if you’re able to get a great deal on a car rental for your trip. That's our guide to bidding on hotel bookings through Priceline.com!